The Russian government intends to spend $13.9 billion on major infrastructure projects in 2013, including money from the country’s pension fund, prime minister Dmitry Medvedev said on Wednesday. 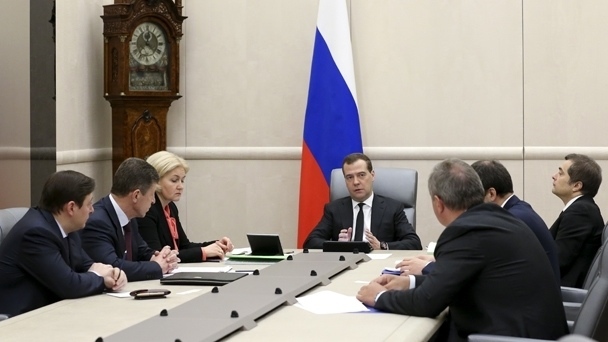 “The government is developing the legislative framework allowing issuance of infrastructure bonds under Russian state guarantee, including the use of pension contributions for these purposes,” Medvedev said. Among Russia’s major infrastructure projects are construction of a bridge across the Lena River near the city of Yakutsk in north-east Russia, and the Moscow-St. Petersburg highway, he said. “Such projects, nonetheless, should no longer be an exotic thing. This is the main thing we must achieve,” Medvedev said. The cost of the bridge over the Lena near Yakutsk, linking the city with the Trans-Siberian rail road (Transsib) and the Baikal-Amur mainline (BAM) connecting Siberia with the Asia-Pacific region is estimated at $2.5 billion, Medvedev said during a trip to the region in early April. Medvedev had earlier ordered a tender to be held for a concession agreement on the bridge’s design, construction and operation. The bridge project is part of the government’s efforts to develop the country’s depressed eastern Siberia and Far East regions. Medvedev earlier pledged to allocate an additional 260 billion rubles from the federal budget in 2013-2017 to expand the capacity of the Trans-Siberian rail road (Transsib) and the BAM. The upgrade will boost the capacity of BAM and Transsib by 40 million tons of cargo annually, including 25 million tons of cargo deliveries to the Russian Far East ports handling shipments towards Asia and Pacific countries, according to Russian rail monopoly RZD.